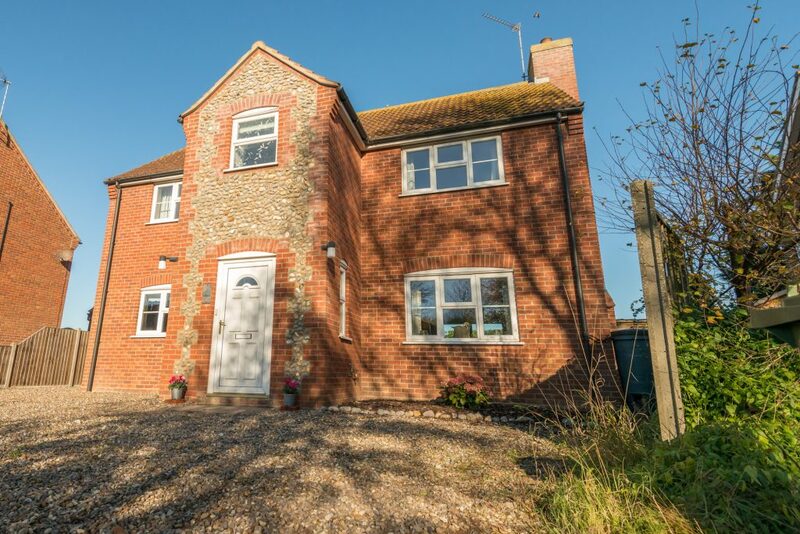 Echoes is situated in the beautiful seaside village of Sea Palling. It is a very short walk to the beach (turn the corner of Chapel Road and walk to the end of Beach Road). Echoes is a spacious, comfortable, welcoming and relaxing cottage. 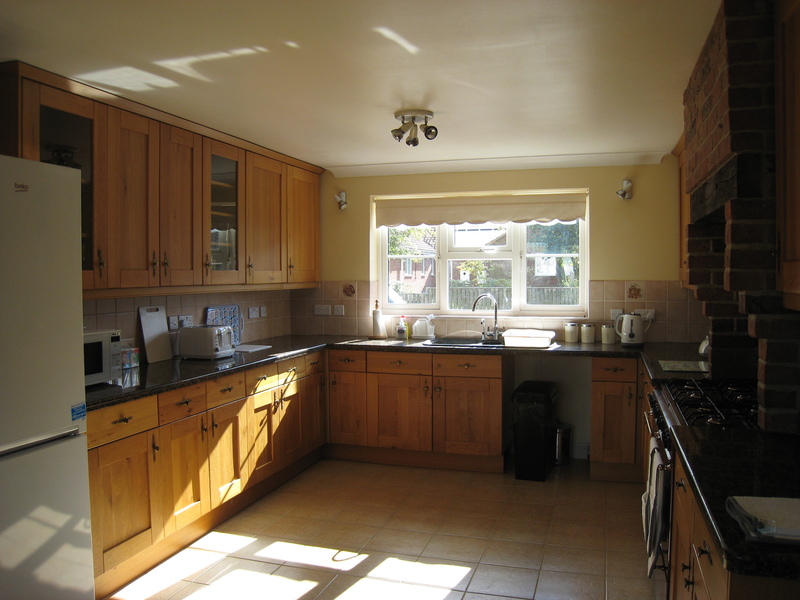 It was built in 2006 and has been very thoughtfully designed to maximise space and light. 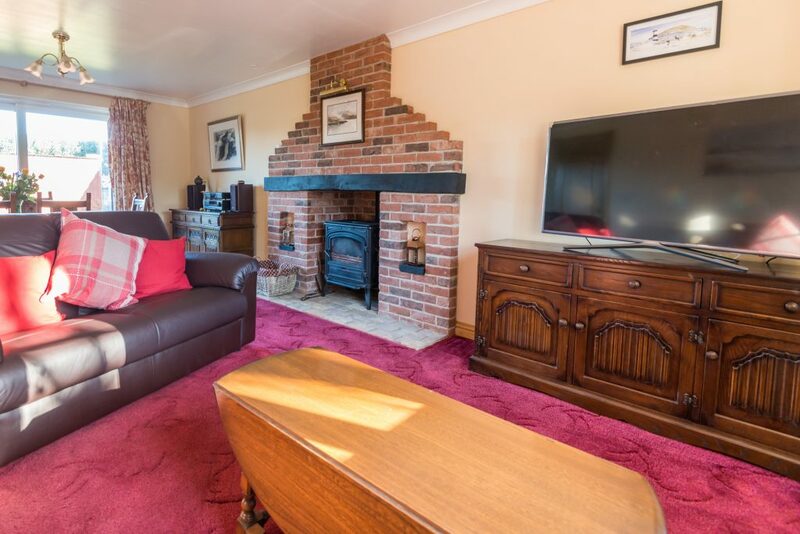 It is ideal for a family holiday right throughout the year and is a perfect place to explore Norfolk’s beach, Broad and country! 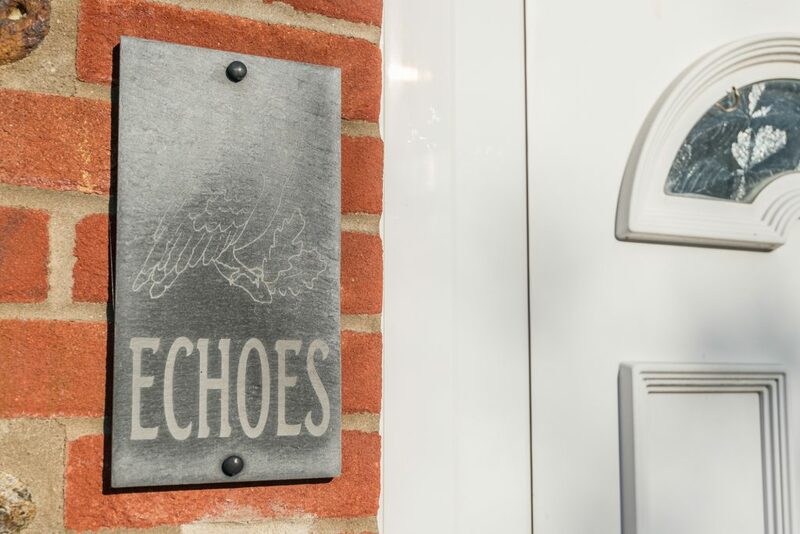 Echoes is quietly situated on Chapel Road, just away from the hub of a beautiful seaside village, a 5 minute walk to the beach, with access to cafes, fish and chip shop, a pub, an amusement arcade, a local shop which sells practically everything(!) and a Post Office. Take the opportunity to explore all along our Norfolk coast! Turn right on entry to the beach to walk along to Waxham and Horsey…..Great for seal-spotting! Or get out and about in the car and visit Winterton-on-Sea, or across the other side to Happisburgh and further up the coast to Mundesley, Cromer and Sheringham. Park your car in the driveway in front of the cottage. (There is space for up to 4 cars). Go through the front door to the cloakroom. There is space for boots, shoes, plenty coat-hooks and a great place to store doggy items . There is a lot of storage space with fully fitted units on three sides. There is a range cooker of which the hob is gas and the oven is electric, a dishwasher, microwave and free standing large fridge-freezer. 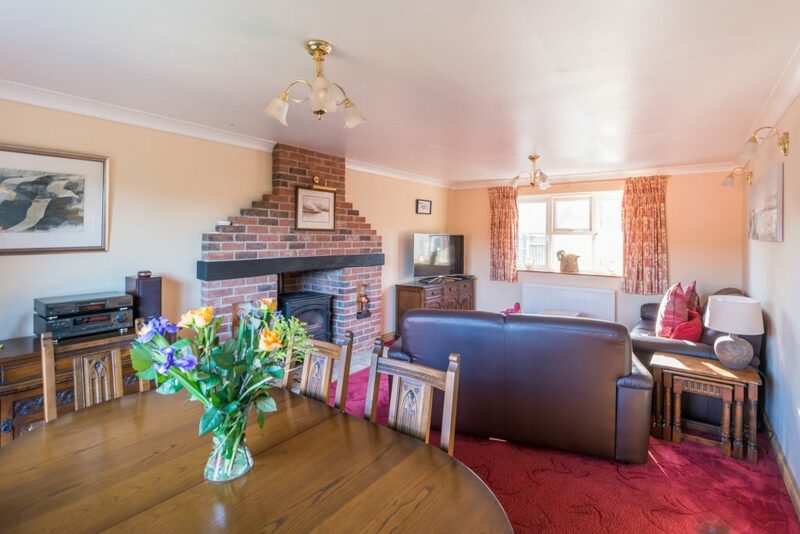 A lovely large dining table with 6 comfortable seats, with views over the garden. The water supply has a water softener. 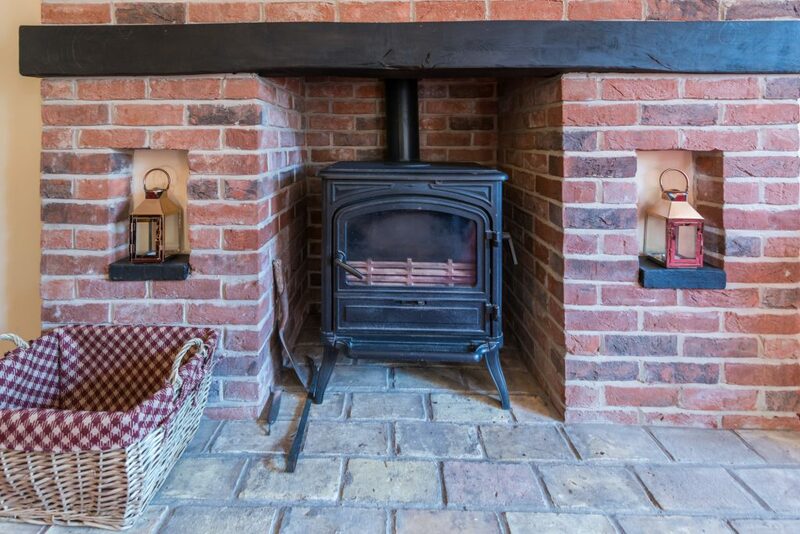 There is a gorgeous feature wood burner with a complimentary basket of wood for your stay. (More can be purchased at the local shop in Beach Road). 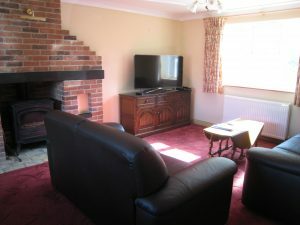 The lovely owners have supplied books, DVDs and games for your enjoyment as well as a large TV on the sideboard. Views to front of cottage and the enclosed and very secure garden. Enough seating for 6 on the very lovely leather sofa. A dining table with enough seating for 6 for formal/group dining. 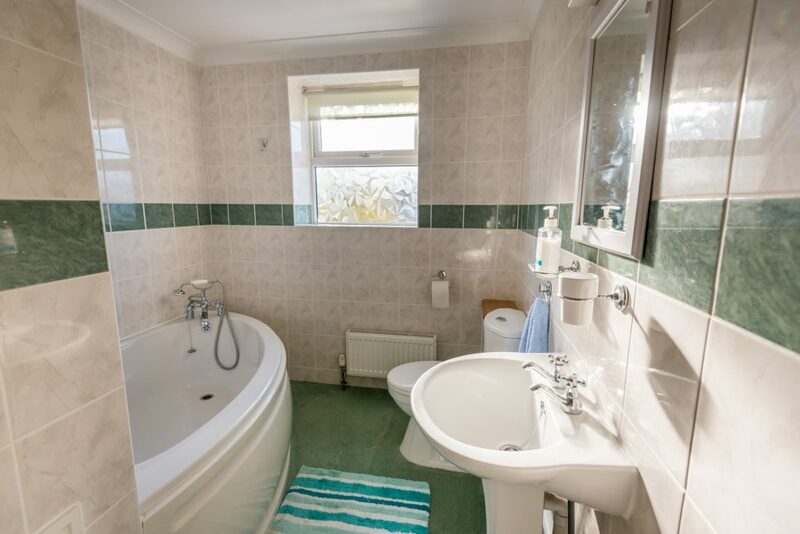 With matching white toilet and sink. 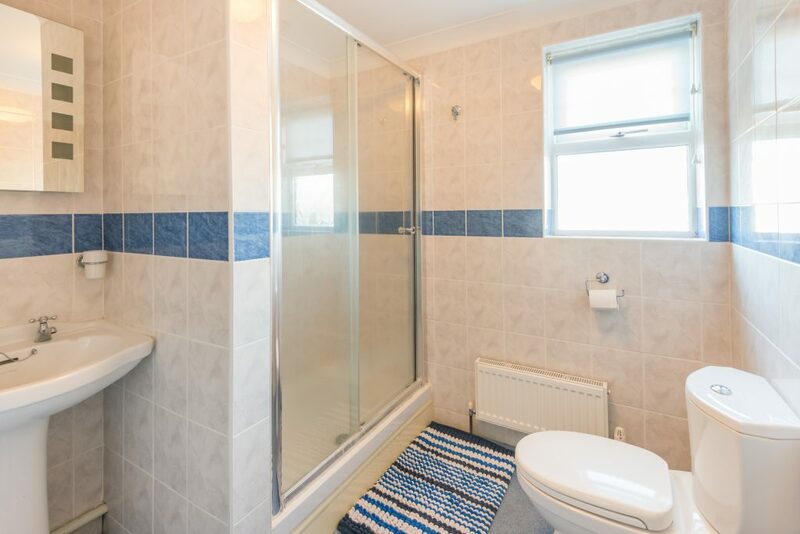 On your next left is the boiler cupboard which houses the washing machine and clothes airer. 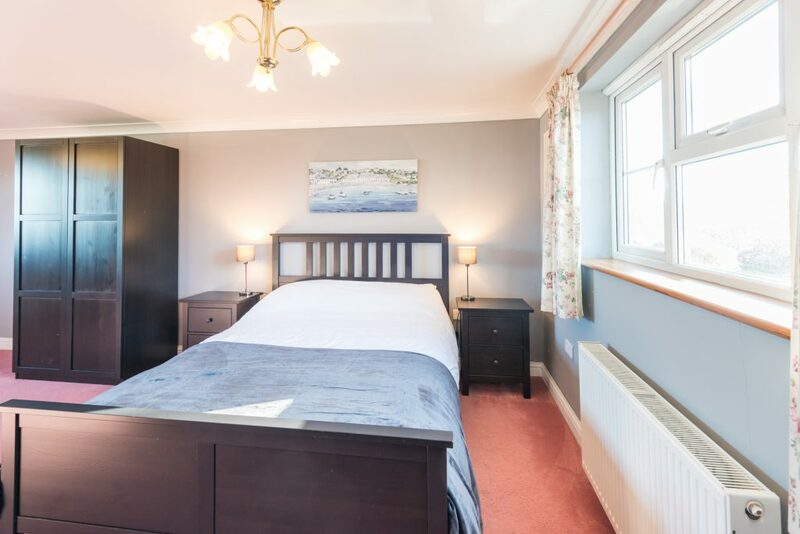 This bedroom has a king sized bed and benefits from a huge amount of floor space. There are matching bedside cabinets, sideboard and bedside lights. 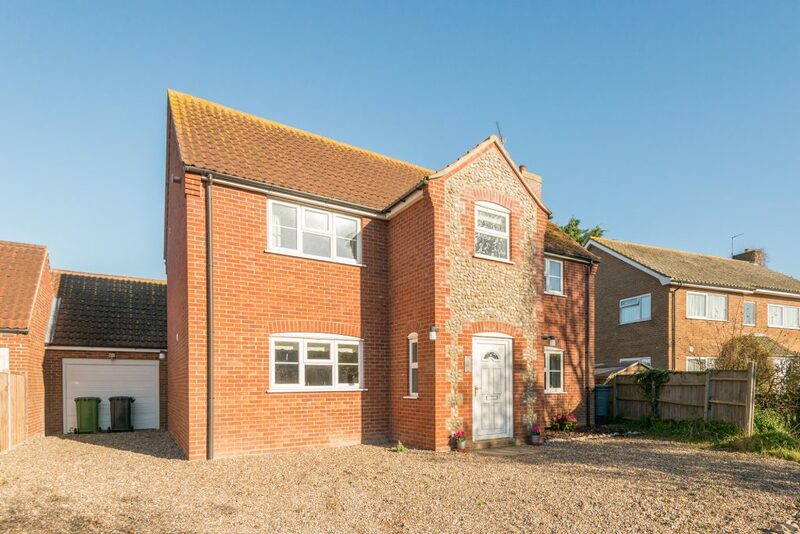 It has double aspect views (to front and rear of the property, with the rear overlooking Sea Palling village towards the dunes). 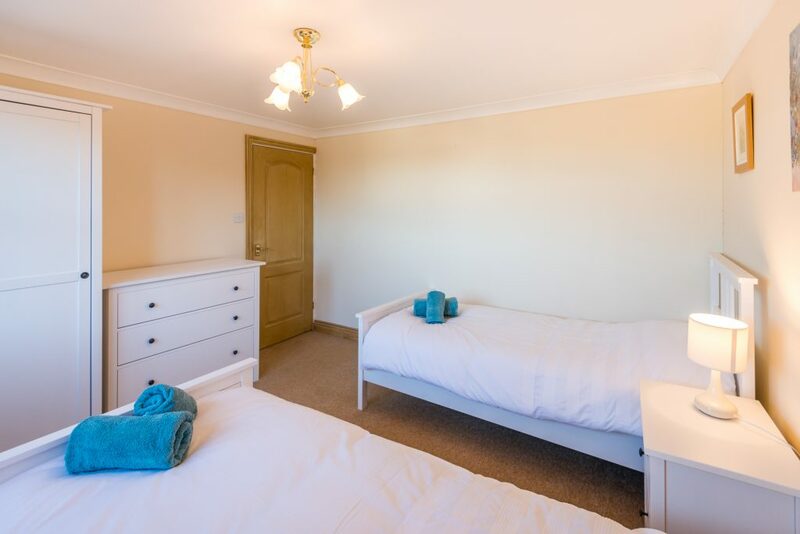 There are free standing wardrobes and plenty of hanging and storage space. There is also a wall mounted TV. 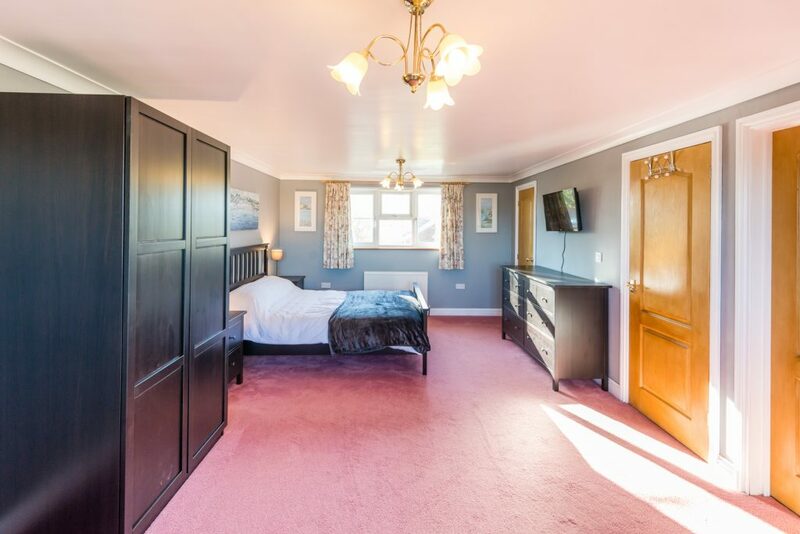 The main bedroom has its own en-suite shower room with a matching white suite, window to rear of property and an electric shower. 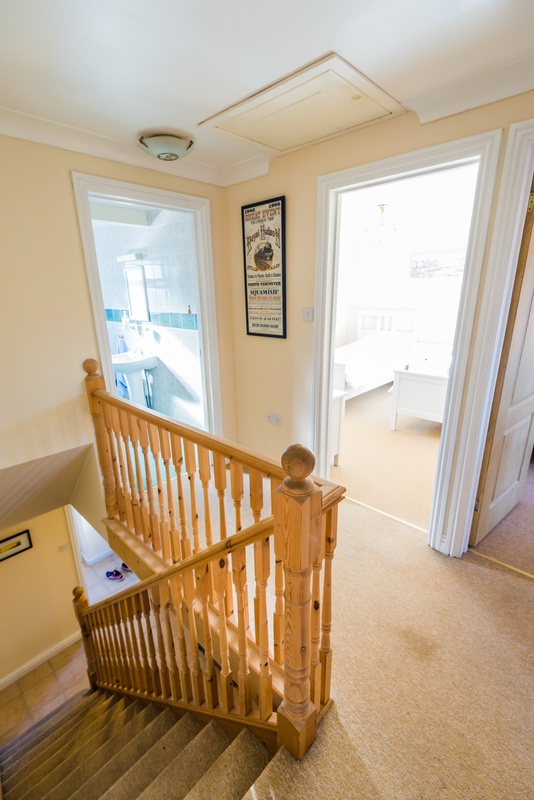 Walk back through the main bedroom to the upper hallway. 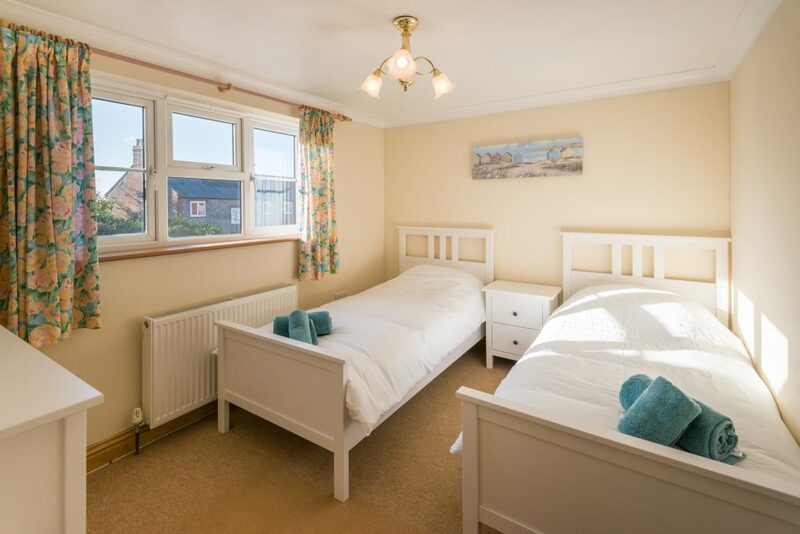 Bedroom 2 is situated at the front of the cottage and has a twin beds with matching side tables with lamps. 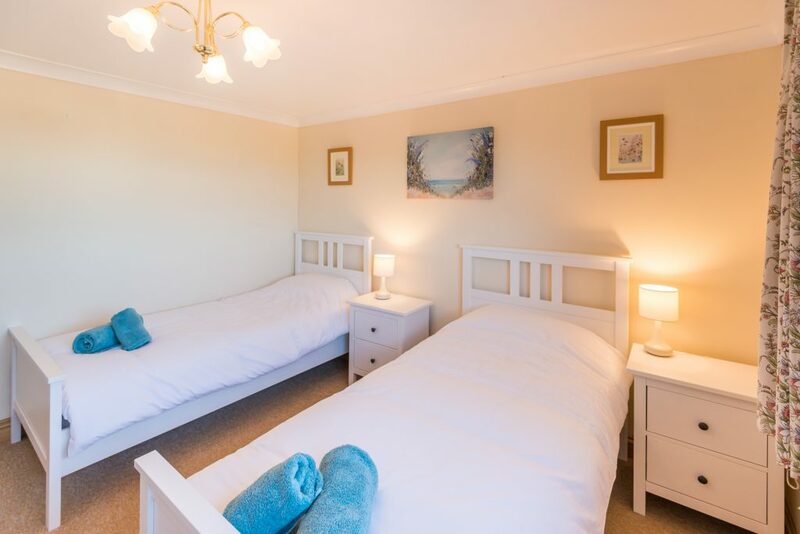 Bedroom 3 is situated at the rear of the cottage and has twin beds, matching side tables with lamps, and free-standing wardrobe. The garden at Echoes is laid mostly to lawn and is fully secure with 6 feet high fences. There is a large shed which is not currently in use for guests, but will be shortly! Watch this space! Echoes is a non smoking property. 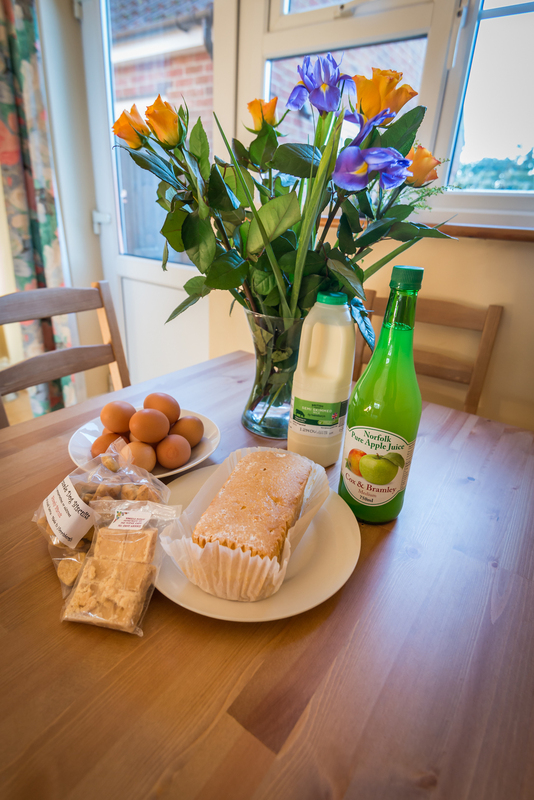 Please note that Echoes is situated in the heart of Sea Palling village in a residential street with neighbours on both sides and across the road. We would respectfully remind guests to be mindful of excessive dog noises in the garden and round the house. There is a fixed stairgate at the bottom of the stairs. Our owners would be grateful if dogs could remain downstairs. If this is a concern, please do get in touch to discuss. Please do not put dog towels into the washing machine. There are a number available for use, please put used ones in the washing basket provided. The beach is sandy and has an artificial reef of rocks which forms a protected area of shallow water. There are restrictions in place on the beach for dogs from 1 May to 1 October but they are only not allowed to the left of the access ramp. Turn right for ‘free range’ pooch access! If you would like a delivery of dog food to the house while you are here, rather than bringing it with you, this Sams Pets is a great place to contact. Pack Holidays guests have an exclusive 10% off anything in their shop in Market Place in North Walsham! Take a peek at their Facebook page too! From A149 at Stalham, take the turning onto “Old Market Road” signposted towards Ingham, Lessingham and Sea Palling and follow the signs to Sea Palling. Turn left onto Beach Road in the centre of the village. Turn left onto Chapel Road. Perfect house, has everything we needed. Wonderful spot so easy for walking dogs on local beach every day. Thank you for the welcome treats for both us and the dogs. Thank you for a wonderful stay! 4 adults, one baby + three dogs all fit comfortably in the house. 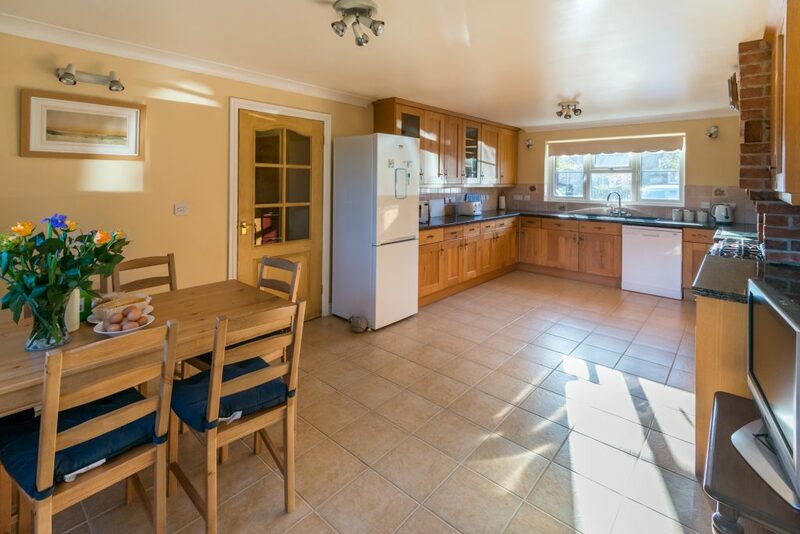 Lovely spacious living space + such a fantastic location. 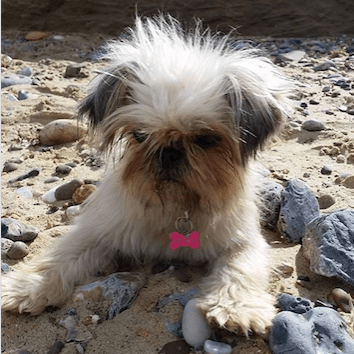 We really enjoyed the daily dog walks along the beach (just 5 minutes away) and were really well placed for trips to Wroxham barns, Great Yarmouth, Thrigby park, the Broads etc. We all had such a great time here in Norfolk and would love to come back again. The fudge + cake welcome was well appreciated after a long drive and we found it very thoughtful. We’ve had a perfectly smashing time, when the fog descended again we drove to Stalham and had a good lunch at ‘Charlottes in the High Street. We spotted a seal in the waves at Horsey and met lots of other ‘doggie’ people. Everyone was so welcoming although not the easiest access from Northumberland! We’ve travelled as a family from Lincolnshire; Grandma, Grandad, Mum, Dad, Uncle, Grand children and 3 dogs. We’ve all thoroughly enjoyed ourselves. There’s so much to do to suit all ages! We enjoyed the Broads Tours, the tour in Waxham (we were amazed by the amount of seals on Horsey beach!). Great Yarmouth also proved to be a day out suitable for all the family and dogs. 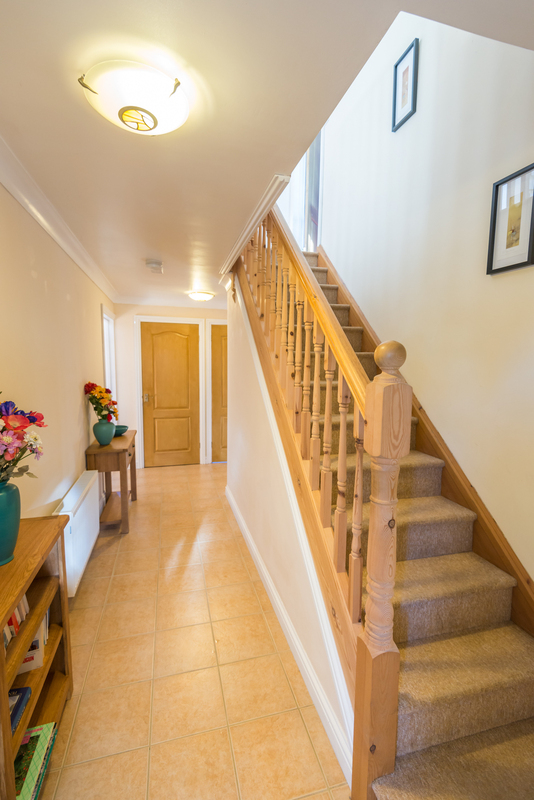 The house isn’t without anything, it has all the amenities that you could possibly need when travelling with the dogs and a young child. Ethel the Leonberger wasn’t a happy dog on the departure morning but we enjoyed a last run along the fabulous Sea Palling beach. We’re all disappointed that the holiday has ended so quickly so we will just have to book again! 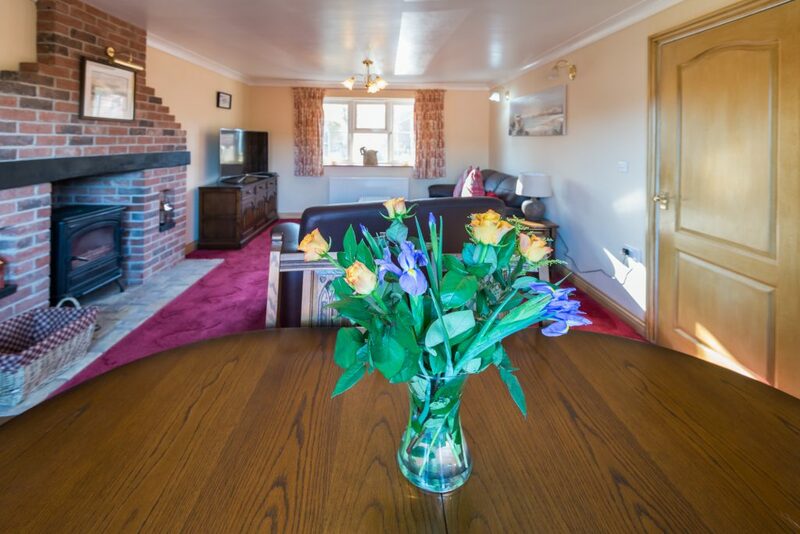 Thank you for opening this superb holiday cottage – we have loved it! We had a wonderful stay in your fabulous house. As soon as we walked in there was a such a lovely feeling, just like home….. you really have thought of everything. We have taken the dogs on long beach walks and dune walks everyday. They really have enjoyed it so much. The location is perfect, everyone is so friendly. We really hope to return for another visit, a perfect break! Thank you so much.